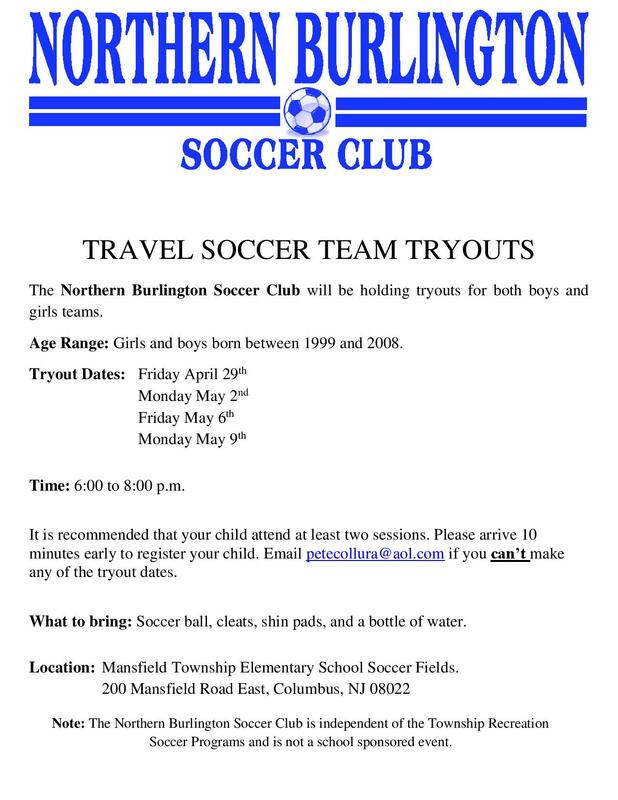 The following Northern Burlington Soccer Club teams will be holding tryouts for players interested in playing on year round competitive travel soccer teams for the 2015/2016 seasonal year. 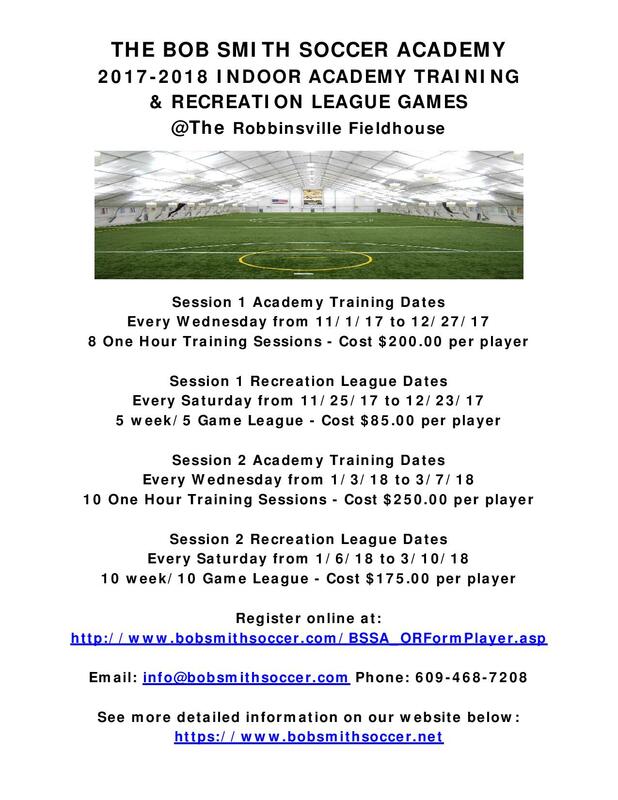 For all other age groups, you may fill out a registration form on the dates below and we will forward your information on to the appropriate coach. We are also gauging interest in starting new girls teams at the following age groups U8/9, U10, U11. If interested please fill out a registration form on the dates below. Thursday May 28 and Tuesday June 2 from 6:30 to 8:00 p.m. Location: Mansfield Township Elementary School soccer fields. For tryouts it is recommended that your child attend both sessions. What to bring for tryouts: Soccer ball, soccer cleats, shin pads, and a bottle of water. For additional information contact Rich Ongaro at 609-298-2913/rodowe5@aol.com or Dave Grupp 609-291-0052/jerseygrupps@aol.com. Note: The Northern Burlington Soccer Club is independent of the Towns Soccer Programs and is not a school sponsored event. The NBSC Knights Boys U-12 travel soccer team is looking for players to round out a strong roster for the Fall 2015 season. Competitive boys interested in playing year round travel soccer are encouraged to contact Coach Llano at for more information. Olympic Development Pool trainer and three soccer dads passionate about the game currently train the team. U12 Age Range: Boys must be born between August 1st 2003 and July 31st 2004. 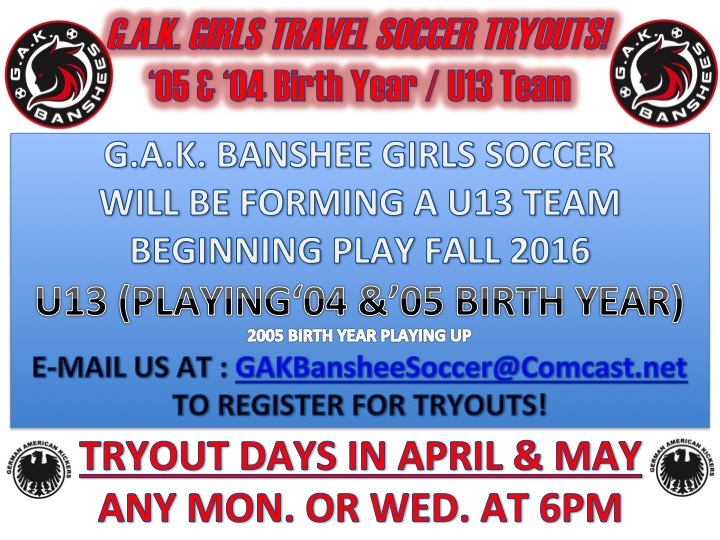 Committed players who are eligible for U11 are also encouraged to tryout. Tryout Dates: Wednesdays at Georgetown Park. Join the team at our regularly scheduled practices starting at 5:30 to 7:00. Feedback will be provided quickly as the team finalizes summer soccer training and tournaments. Next practice/tryout scheduled for May 6th. Every Wednesday through the month of May is open for tryouts. What to bring: Soccer ball, soccer cleats, shin pads, and a bottle of water. 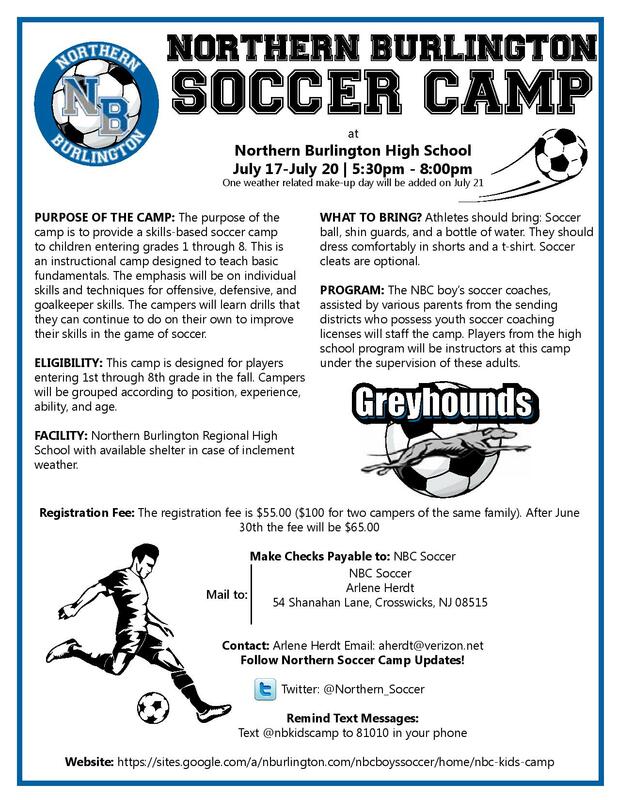 Note: The Northern Burlington Soccer Club is independent of the Township Recreation Soccer Programs and is not a school sponsored event. 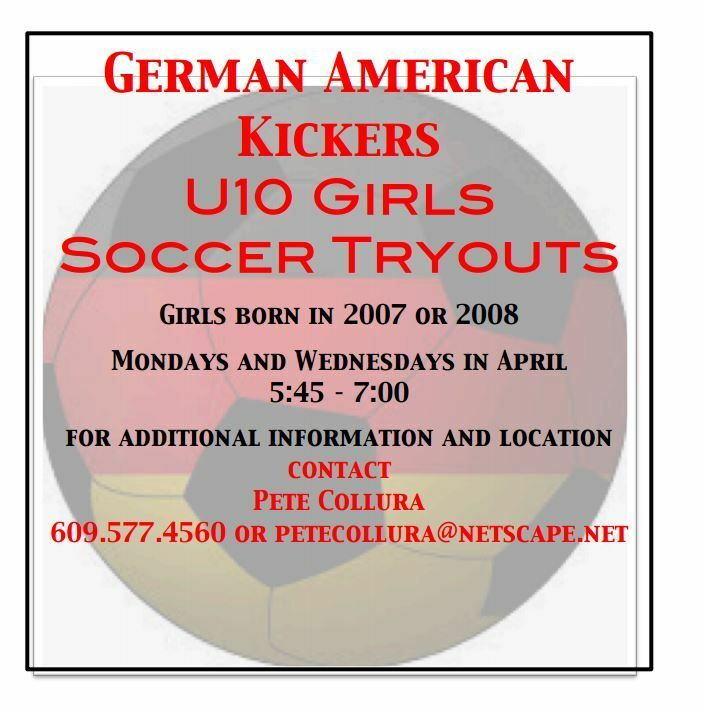 This is a highly competitive team looking for serious soccer players. Eligible players who participate in other sports are assured that the Knights will work to support well-rounded multi-sport athletes. 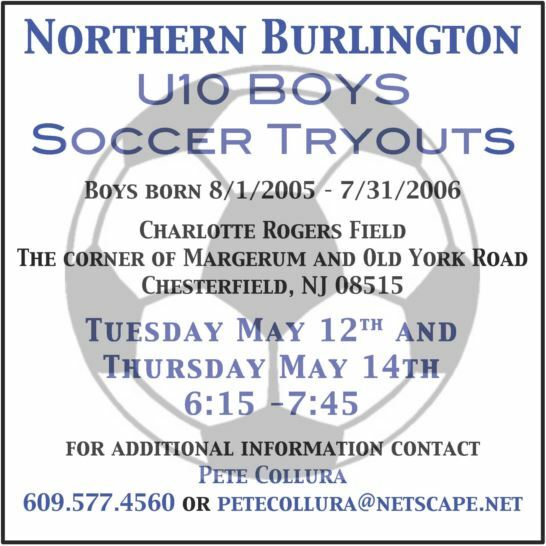 The Northern Burlington Soccer Club Boys U-11 travel soccer team will be holding tryouts for players interested in playing on a year round competitive travel soccer team. Age Range: Boys must be born between August 1st 2004 and July 31st 2005. Tryout Dates: Thursday May 14th and Monday May 18th from 6:30 to 8:00 p.m. It is recommended that your child attend both sessions. Location: Mansfield Township Elementary School 8v8 soccer field. The 8 v8 soccer field runs parallel to Mansfield Road East. Visit www.nbsoccer.net for additional information about the NBSC and click on the right side of the page for directions to the Mansfield Elementary School fields. Contact Bill Ernst at 609-424-3122 if you have any questions.